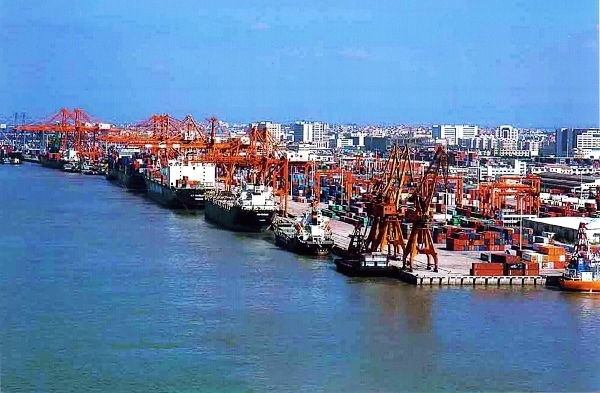 Learned from Fujian province transportation hall,in the first quarter of this year the province's coastal port cargo throughputof 114 million tons, up 11.2% from a year earlier. According to statistics, in the first quarter of thisyear, the throughput of Fuzhou port cargo is 33.3427 million tons, up 20.0%from a year earlier. Xiamen port completed the cargo throughput of 46.7683million tons, up 8.0% from a year earlier. Ports of Fujian province in thefirst quarter completed the container throughput of 2.6927 million TEU, up 7.0%from a year earlier.